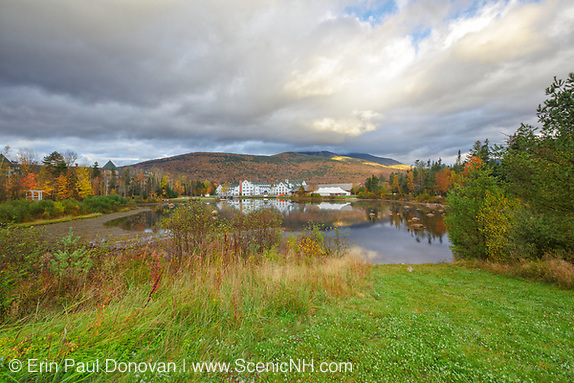 The 2017 Autumn Foliage Season – What a strange autumn foliage season we have had here in the New Hampshire White Mountains! The foliage was hit or miss in most areas. 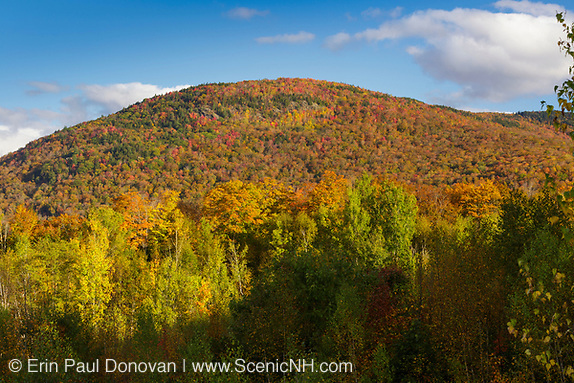 And even though we are past peak, there are still some nice pockets of colorful foliage. As for the weather, the temperatures have been above average for the month of October. Boy, I hope we get snow this winter season. I usually spend two weeks a year photographing autumn foliage. But because of tight deadlines, I didn’t focus much on the foliage this year. It has been an extremely busy year, and today I am going to share a few scenes from my travels around the White Mountains. Almost all of my field time over the last few months has been spent in the Pemigewasset Wilderness verifying work for a book project that is due out in the summer of 2018. Owl's Head Mountain Fire August 17, 1907 – During the late 1800s and early 1900s, logging activities from railroad logging contributed to a number of forest fires in the New Hampshire White Mountains. Sparks from locomotives were responsible for starting fires along the railroads. And the logging slash (unwanted part of the tree left behind after an area is logged) left on the mountainsides fueled the forest fires. The infamous August 1907 Owl’s Head Mountain fire in the Pemigewasset Wilderness was started by a lightning strike on the eastern side of Owl’s Head Mountain in an area that had been previously logged by J.E. Henry and Sons. The included color photographs show the general area of where the forest fire took place. 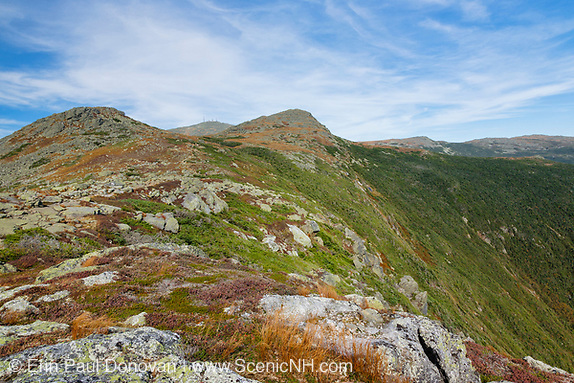 Definition of Wilderness, White Mountains – I am currently working on a project that has brought me back into the Pemigewasset Wilderness. This wilderness is governed under the National Wilderness Preservation System and the Wilderness Act of 1964. And because it is designated wilderness, it has the highest level of protection for federal lands. 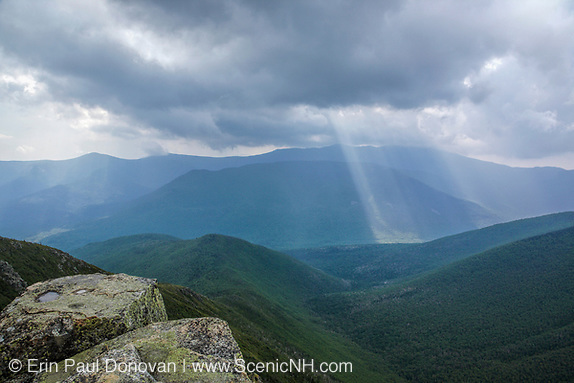 The recreational opportunities, historical value, and educational platform the Pemigewasset Wilderness offers will educate outdoor enthusiasts for many years to come. 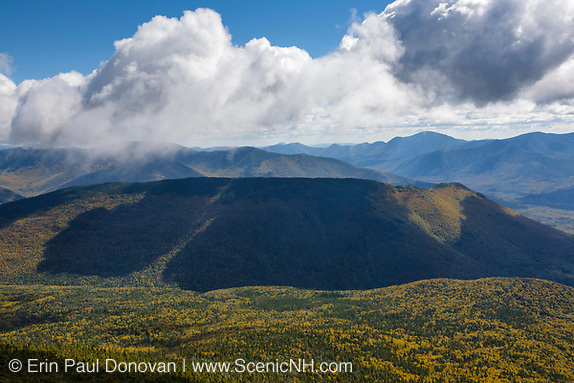 It is important that visitors to the region know that the six designated wilderness areas in the White Mountain National Forest are managed differently than the rest of the National Forest. This is where the Wilderness Act comes into play. 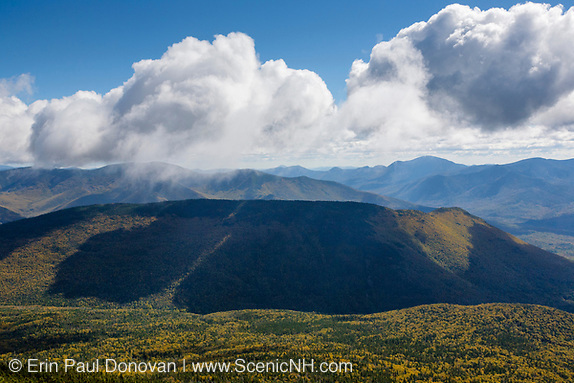 Pemigewasset Wilderness, Conservation Success – The 45,000-acre Pemigewasset Wilderness is the result of one the greatest conservation laws ever passed; The Wilderness Act. Unlike in today’s world where everyone wants to gut the Wilderness Act for selfish reasons, the creators of the Wilderness Act were truly concerned about the well being of our wild places. The Wilderness Act has protected over 109 million acres across the United States. Some of you may recognize the above image from Zeacliff Mountain because a similar image is on the cover of the 29th edition of the AMC White Mountain Guide. I look at this image from time to time and think about the solitude I have found in the Pemigewasset Wilderness over the years. 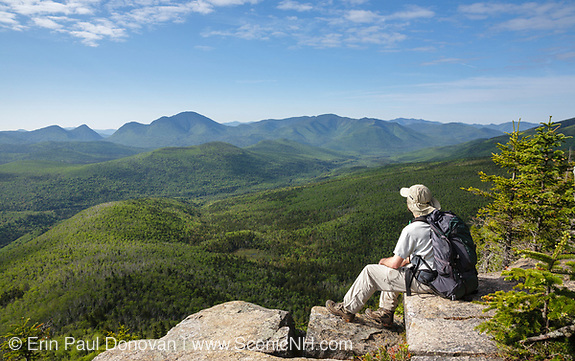 I also try to imagine how the Pemigewasset Wilderness would look if it was a 45,000-acre condo development.